Montreal is an interesting fun mix of the old and the modern. In the morning you might be walking alongside centuries-old buildings, and in a few hours, you could be enjoying a state-of-the-art museum. 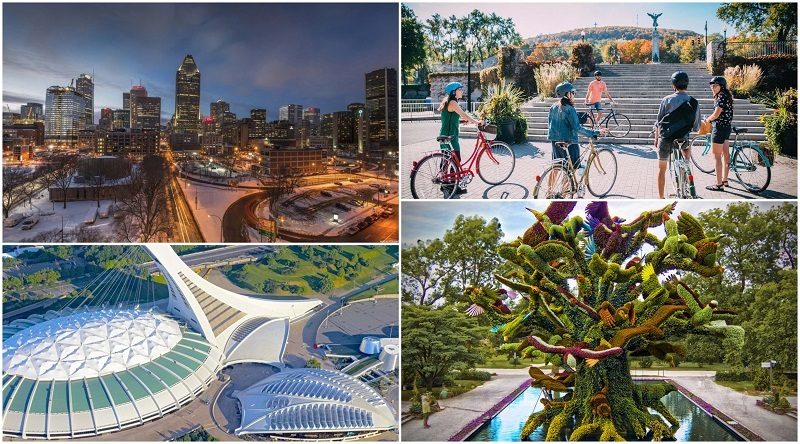 Going around the old and new portions of the city will give you a better idea of how Montreal has evolved into a fun lively city. See cultural influences, art, try tasty cuisines, and be in awe of their architecture, which all add to the fun of exploring Montreal. To jump start your exploration plans, here is a recommended list of the fun things to do in Montreal. 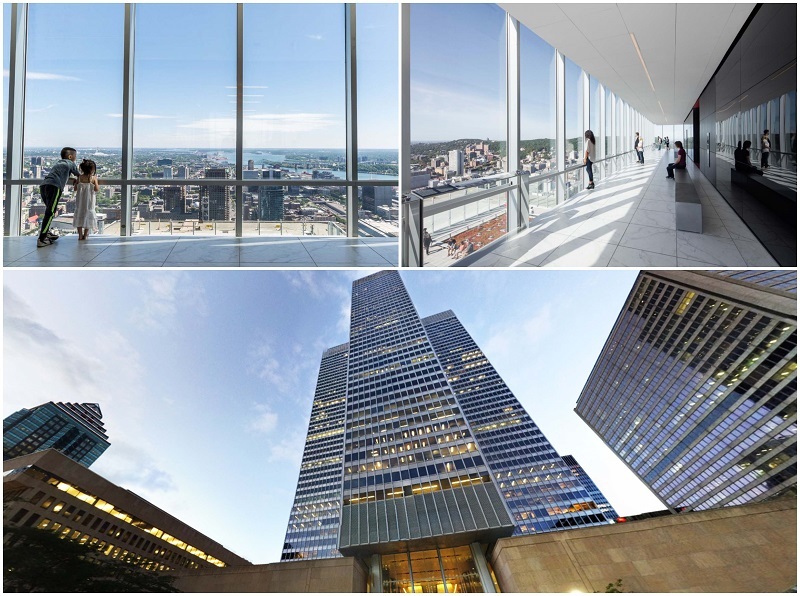 The Observation Deck at Place Ville Marie offers a unique opportunity to view some of the most important landmarks in Montreal – from the top! The breathtaking 360-degree view from 185 meters above ground gives you a bird’s eye view of attractions such as Old Montreal, the Saint Lawrence River, the Olympic Stadium, Mount Royal, and the Quartier des Spectacles. Take a sneak peek at how the locals in Montreal live through a fascinating multimedia exhibition or get a taste of authentic Quebec cuisine from the city’s highest dining establishment, les Enfants Terribles. What better way to explore a city covering most of an island, than from the water? See the St. Lawrence River on a cruise aboard Le Bateau-Mouche. Choose between the terrace, main deck, or upper deck for unparalleled views of locations the other boats cannot access. Get ready for a riveting history lesson when you go on a cruise on the AML Cavalier Maxim, which takes you on a 22-mile journey on the St. Lawrence River – either from the sun-drenched deck, or the glassed-in dining room. The Cavalier Maxim also offers a dinner cruise that will surely give you a magical night you would not forget. It’s time to surround yourself with the beauty of nature in the Botanical Garden. 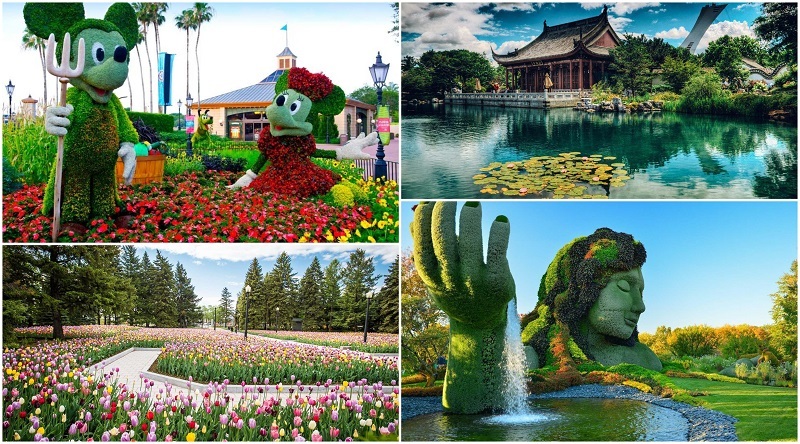 Explore the biodiversity of over 22,000 plant species as they are showcased in 10 exhibition greenhouses, and 30 uniquely-themed gardens – all spread out over 75 hectares of land. The Montreal attraction is one of the world’s most important botanical gardens due to the impressive facilities, and extensiveness of its plant collection. If you’re visiting Montreal with kids looking for fun, they’ll love the life-like garden sculptures. Get ready to experience a bustling vibe of the Old Port of Montreal, the city’s center of sea trade in the 17th century. After being neglected during the 1970s, it has since been transformed into a dynamic waterfront district frequented by locals and tourists alike. 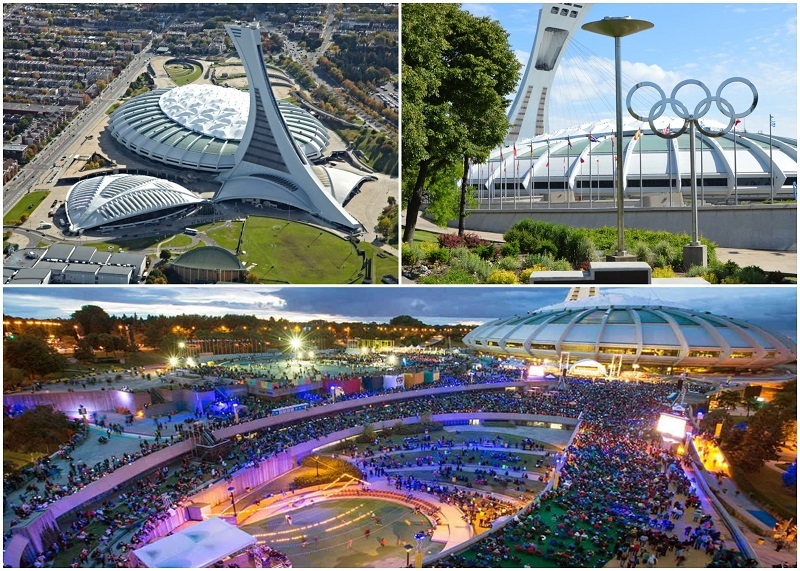 Here, you will have an abundance of entertainment options, such as the Old Montreal Ferris Wheel, Montreal Science Centre, an urban beach (Place de l’Horloge) in the summer, a spacious outdoor skating rink during the winter, the Montreal Clock Tower, and an IMAX cinema. Aside from walking, you can also explore the area in other equally-interesting ways, such as cycling, segways, onboard a river cruise, or using a paddleboat. The Montreal Casino is located on Ile Notre Dame and offers so much more than just a few fun bets. Consisting of three interconnected buildings, it is one of the largest casinos in the world – and Canada’s biggest. Try your luck in one of the 3,000 slot machines or prepare to play a fun game on one of the table games which include poker, blackjack, baccarat, keno, or roulette – all spread over five floors of gaming. New thrills & adventures await you in the Zone, where you can choose from 80 interactive virtual games and see your (hopefully high!) scores light up the giant screens. If you are not in the mood for games, check out the cabaret hall which showcases burlesque shows, popular local and international artists, and dance performances to make your Montreal trip even more memorable. After all these activities, quench your thirst or ease your hunger pangs in one of the five restaurants and four bars spread over the Montreal Casino. Montreal is well-known for its art scene, and this is evident in the number of art galleries, and street art & murals in various neighborhoods. 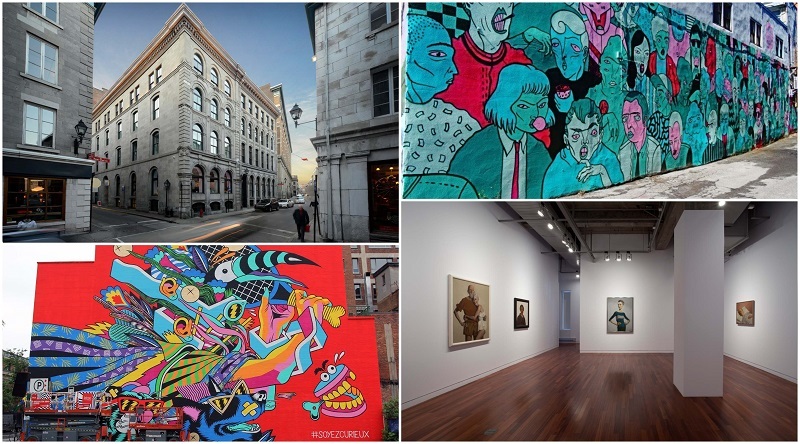 Get a taste of the vibrant art scene by checking out some of Montreal’s art galleries. The Phi Centre is where you will witness art in almost every imaginable form, as you go through the site’s art gallery, performance space, theatre, production facilities, and cinema. Don’t forget to visit the DHC/Art Fondation pour l’art contemporain (Foundation for Contemporary Art), which consists of two splendid buildings in Old Montreal and annually features two to three long-running exhibitions, special collaborative projects, public events, and an innovative education program. Get to know more about the world of street art at the Freshpaint Gallery, which also comes up with art and temporary installations in some of the city’s vacant spots. See the works of up-and-coming Canadian artists along with more well-known international names in the Galerie de Bellefeuille. 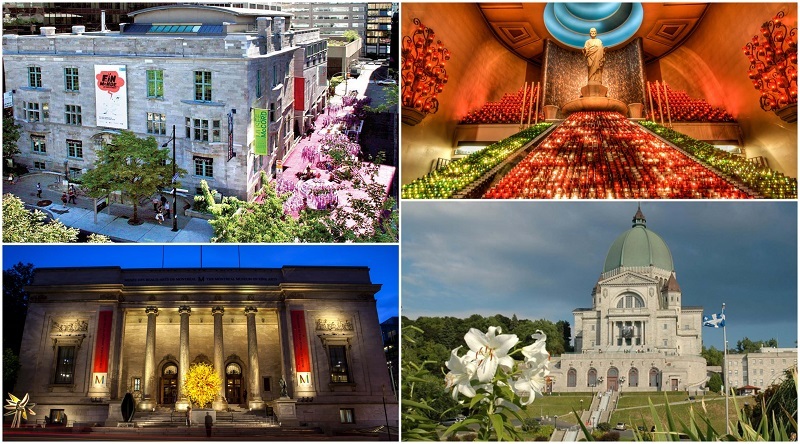 Learn more about Canada’s rich heritage by visiting the historic sites and museums in Montreal. Originally a farmhouse, Maison Saint-Gabriel is a museum and historic site that features the history and artifacts that came from 17th century New France settlers. The McCord Museum is a public teaching and research museum that focuses on the appreciation, study, preservation, and dissemination of Canadian history. It also houses one of the most comprehensive historical collections in North America. Gaze in wonder at the sacred art inside the majestic Museum of Saint Joseph’s Oratory of Mount Royal, Canada’s largest church and a Roman Catholic minor basilica. It features the religious and artistic heritage of Quebec and other countries. View a multitude of artistic disciplines at the city’s largest museum – the Montreal Museum of Fine Arts, which also houses the oldest art library in the country. Situated in a former central fire station in Old Montreal, the Centre d’histoire de Montréal focuses on the history of Montreal. 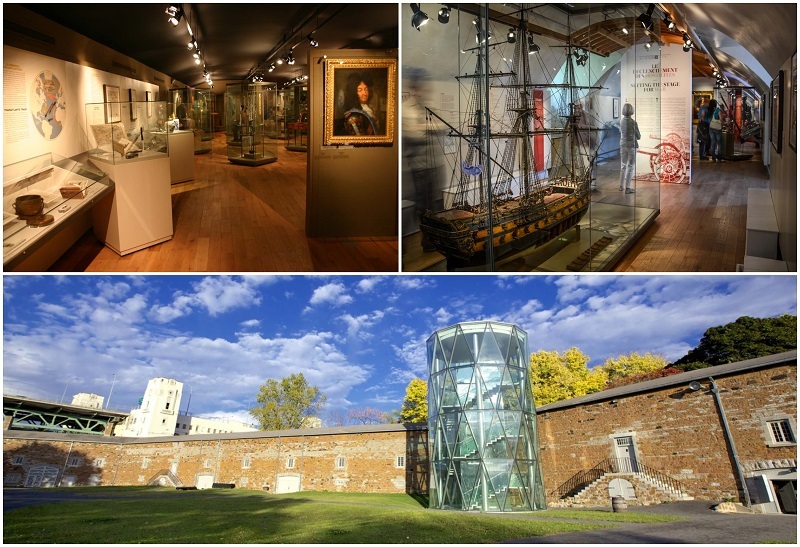 If you’re a keen learner of history, you’re sure to have fun at the many historic attractions in Montreal. The Stewart Museum is where you will discover the deep European influence on the settlers of New France and North America. A trip to this museum offers a fun virtual trip to the past, as it is located on a 19th-century installation on a British military depot, on Ile Sainte-Helene. There is much more to this museum than the usual art exhibits, with activities that will bring out the thrill-seeker in you. Try and escape from an internment camp on St. Helen’s Island through an Escape Game. Halloween activities include exploring an exhibition in the dark, using only a flashlight. Lecture series and workshops are also available for you to explore the different aspects of life during the 18th century. The one in Pisa isn’t the only impressive leaning tower! Meet the Montreal Tower, the world’s tallest inclined or leaning tower soaring at 165 meters with a 45-degree angle. The tower is incorporated into the Olympic Stadium. Ride to the top of the tower on a glass-encased funicular, the only one in the world to operate using a curved construction. Experience stunning 360-degree views – awarded the highest rating of three stars by the Michelin Guide – that can reach as far as 80 kilometers from the Tower Observatory. Explore the architectural wonders of the doughnut-shaped Olympic Stadium, built to serve as the main venue for the 1976 Summer Olympics. If you visit on a day with a major event, there’ll definitely be a fun carnival atmosphere. 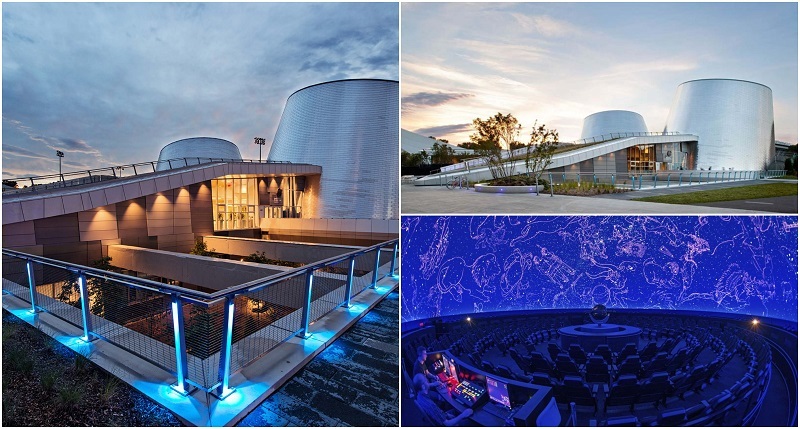 The awe-inspiring eco-responsible structure of the Rio Tinto Alcan Planetarium is home to a unique take on astronomy. Learning about space is made more fascinating with visually stunning animation, images, multimedia games and projections. This is where you will develop a deeper appreciation of the link between the sky and life on Earth. The planetarium, along with the Biodome, Jardin Botanique, and Insectarium, forms the Montreal Space for Life – Canada’s most comprehensive concentration of natural science museums. Aside from the exhibits on astronomy and space, the planetarium also houses two separate theaters. 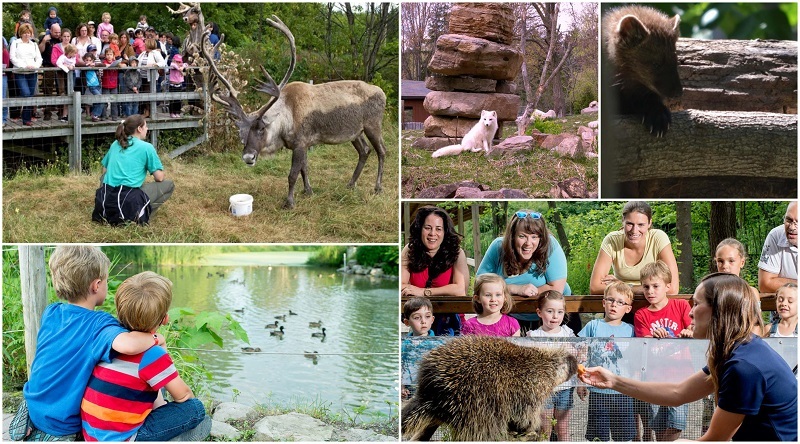 Your list of fun things to do in Montreal will not be complete without the Ecomuseum Zoo. In the only outdoor zoo in Montreal, you will see animal species from Quebec in their naturally captivating surroundings. All the animals housed by the zoo cannot go back to the wild due to various reasons, such as being injured, born with only professional human care, or orphaned. The Ecomuseum Zoo provides a caring, permanent home where the animals can be protected while in a natural setting. The outdoor tour will take you up close and personal with animals such as hawks, eagles, owls, the American Porcupine, Arctic Fox, waterfowl, and ducks. Indoors, the “From Light to Dark “exhibit gives you the opportunity to see Quebec’s small nocturnal mammals, fish, reptiles, and amphibians. Ready for a uniquely thrilling experience? Get to know what it feels like to experience how Montreal roars with excitement every summer (because of the Canadian Grand Prix), and try out a professional racing simulator. Vortex Racing literally puts you on the driver’s seat, offering eight simulators just like those used by top Formula 1 teams when they practice. Welcome the adrenaline rush that can only come from participating in a professional race – whether it is your first time to be in an actual race car, or if you are practicing as a professional racer. Meet some of the world’s most famous celebrities – or at least, their wax figure counterparts – at the Grevin Max Museum. Situated in Montreal Eaton Centre in Ville-Marie, it is Grevin’s first property outside its renowned Paris, France location. See the wax figures of celebrated names in the history of Quebec, Canada, and France alongside world leaders and marvel at how lifelike they are! The interactive Hall of Wonder lets you discover the magic of nature as butterflies, nature, and forests change their appearance in response to your movements. Make the experience even more fun and memorable by making a virtual wax figure of yourself in the workshops! Have you ever wondered how it feels like to fly? 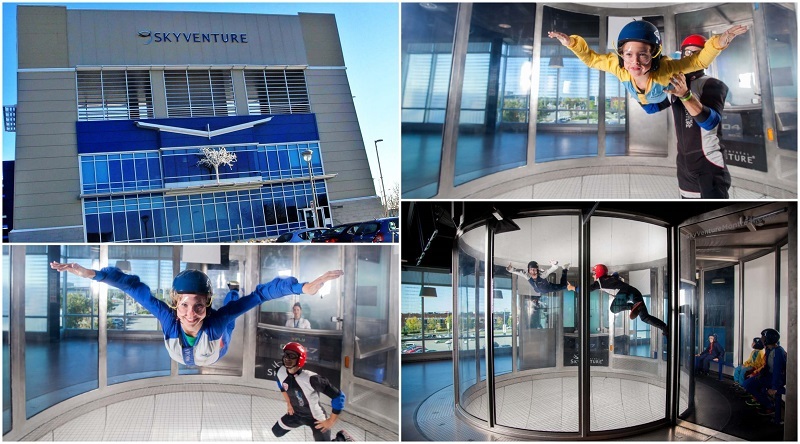 Take a leap and enjoy the fun experience going indoor skydiving in a wind tunnel. SkyVenture Montreal lets you defy the law of gravity by skydiving in a safe indoor environment, using a free fall simulator. No experience is necessary, and you can skydive alone or share the thrill with your family and loved ones! Safety equipment and training are provided before the actual free fall session, so you can be sure that you are as ready as you can be, as you prepare to taste the freedom of being able to fly. An urban zipline adventure is just what you need to explore Montreal from a different perspective – breezing through the Old Port of Montreal, from the top. The adventure starts with climbing the Montreal Clock Tower, where you can enjoy the panoramic view while the instructor briefs you with the safety rules and procedures. You will then have the chance to experience the power of flight as you speed through 1,200 feet of a biplane on top of the Old Port of Montreal. The fun does not end with the stunning views and exhilarating flying, as you will also get to bring home a souvenir photo of your urban ziplining prowess. 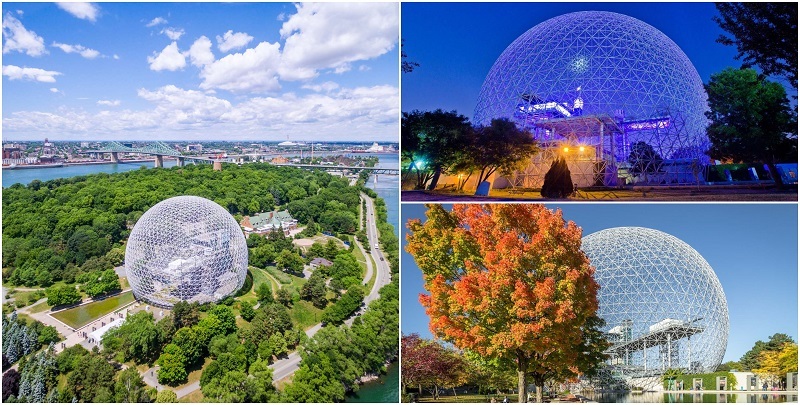 The Montreal Biosphere is the only museum dedicated to the environment, in North America. This architectural marvel is located at Parc Jean-Drapeau, in the former United States pavilion for the Expo 67 World Fair in 1967. It has since been turned into an interactive museum, presenting activities and exhibitions that tackle crucial environmental issues such as those related to climate change, air, water, sustainable development, and eco-technologies. The interactive exhibitions are designed to make these issues much easier to understand and discuss, even after the museum trip is finished. The Biosphere’s animated activities also teach how solutions can be done daily, to protect the environment from further harm. Starting from the Atlantic Ocean on to the Great Lakes of Ontario, the St. Lawrence River is one of the world’s most notable and longest rivers. There are several fun ways to experience the grandeur of this historic river, depending on what activity you prefer. Go on a leisurely bike tour along the river and enjoy the majestic river view, along with the impressive architecture of Old Montreal. If you have a need for speed, hop on a jet ski and feel as free as the wind while gliding on the St. Lawrence River. Choose a sea kayaking tour for a longer, more relaxing way to explore the river. Use a paddleboat to pedal around the Bonsecours Basin, which is a protected portion of the St. Lawrence River, so you are assured of no boat traffic and calm waters. One of the most fun ways to explore Montreal is through a sightseeing tour with a professional tour guide. As you cruise around the city on a comfortable coach, you will also learn the most important things about each landmark you pass. Get to see Olympia Park, which was where the 1976 Summer Olympics were held. Mount Royal Park offers breathtaking views of the St. Lawrence River and downtown Montreal, and this is also where you will see St, Joseph’s Oratory, one of the most visited shrines in the world. 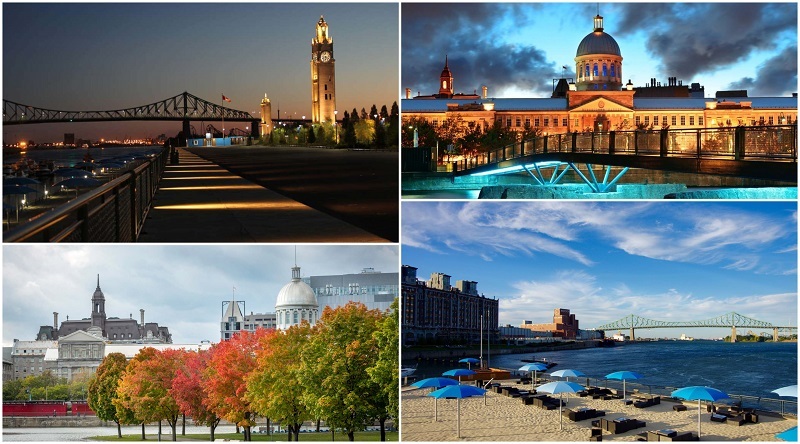 Experience the historic charm of Old Montreal, the old city center. Soak in the culture of the French Quarter on your way to see the Notre-Dame Basilica’s majestic structure. Other fun highlights on the sightseeing tour include Chinatown, Bonsecours Market, and Place Ville Marie. Montreal has the largest underground network, and it is just waiting to be explored. You can explore the underground city to your heart’s content without being held back by bad weather. An underground city tour will showcase compelling murals, a section of the Berlin wall, an old national bank vault, and a four-story water fountain. 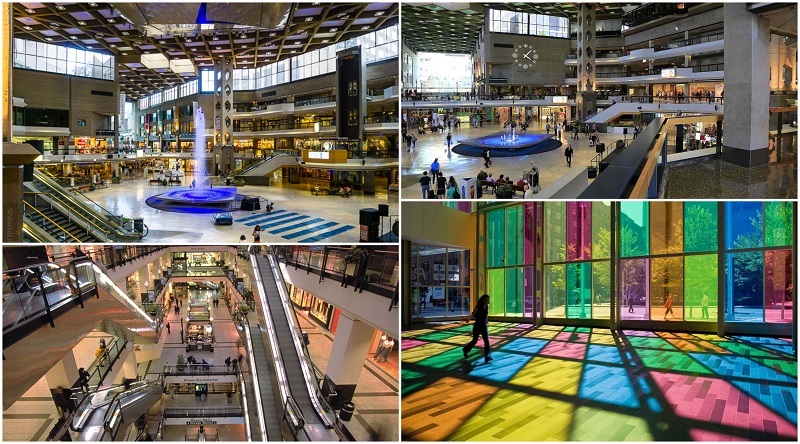 You will have a multitude of fun activities to look forward to in Montreal’s Underground City, which is spread over more than 33 kilometers, with four transit stations, 10,000 parking spaces, and about a hundred buildings. You do not need to go above ground for accommodation and dining choices, as the underground city has 10 hotels and 265 restaurants. With one college, five universities, several libraries, three museums, six concert venues, two ice skating rinks, and much more – you can spend most of your time in Montreal underground without missing a lot from the top! Get to know Montreal through guided tours of breweries and distilleries in the city. Explore Cirka Distilleries, the first distillery to properly distil alcohol in Montreal. Head on to a cooperative brewing facility, and a place known for kombucha cocktails and tea. Or spend a few hours with an exclusive access to brewing facilities, where the guide will expertly tell you about Montreal’s beer history. Quench your thirst with a few craft beer samplers as you explore the Old Port of Montreal. Cap off the fun experience with a visit to a speakeasy with a secret subterranean entrance. Get to know Montreal through its local food districts – and their corresponding sumptuous secrets just waiting to be revealed. The enticing French pastries and delicacies in Old Montreal evidently show the area’s rich French heritage and how it has deeply influenced Montreal’s culinary traditions. Meet the personalities and cuisine that make up the fascinating Chinatown and learn about the area’s pre-Chinatown beginnings and its evolution to what it is currently – a colorful mix of good food, interesting personalities, and talented local chefs. Brace yourself for a bursting belly after the Chinatown food tour! For something different, join one of Montreal’s most historic and prominent Jewish communities with a food tour that includes a smoked meat deli, a kosher bakery, and a taste of the renowned Montreal bagel. Alternatively, discover how big the food truck industry has become in Montreal by going on a bike tour along Lachine Canal, Old Montreal, and downtown Montreal. Sample the awesome eats offered by each food truck such as ceviche of beef tartare, Thai papaya salad, peach pannacotta, and slow-cooked pork belly sandwich. 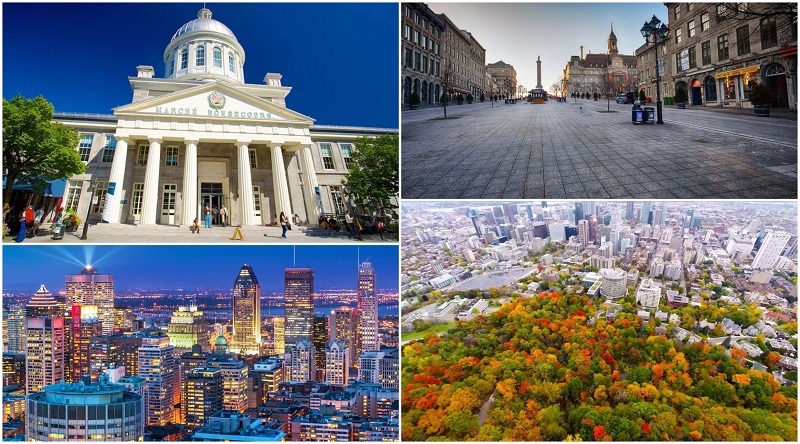 Explore Montreal at your own pace while saving money by choosing the Montreal City Hop-on Hop-off Tour, which includes full narration about the city’s landmarks. You can get on and off the double-decker bus as much as you please on the 10 included stops, letting you stay as long or as short as you want to at each attraction without sticking to a schedule. This value-for-money tour is available from May to October, and you have the option to enjoy the city at night. Save money while making the most out of a limited time for exploration. 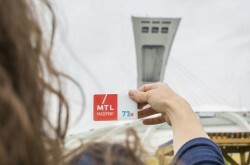 The Attraction Pass gives you unlimited access to public transportation (including the 747 Aéroport P.-E.-Trudeau shuttle) and free admission to 23 must-see Montreal attractions within a 72-hour period. As you can see, there are plenty of fun things to do in Montreal. This popular Canadian city is ideal for families, kids, history buffs, adrenaline junkies and keen explorers. However you define fun, you’ll be spoiled for choices if you’re after fun activities or attractions to visit in Montreal.